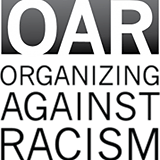 One way OAR does this is by organizing anti-racism workshops led by the Racial Equity Institute (REI). With a clear understanding of how institutions and systems are producing unjust and inequitable outcomes, workshop participants are able to begin a journey to work toward social transformation and racial justice. WPC staff members Heather Ferguson, Taylor Lewis Guthrie Hartman, and Kara Pearce have taken the REI Phase I Workshop; Chris Tuttle is registered for the REI Phase I Workshop on February 23-24. Learn more and register for an upcoming workshop. Workshops fill up fast, so be sure to register well in advance of the date that works for you! Contact: Heather Ferguson.